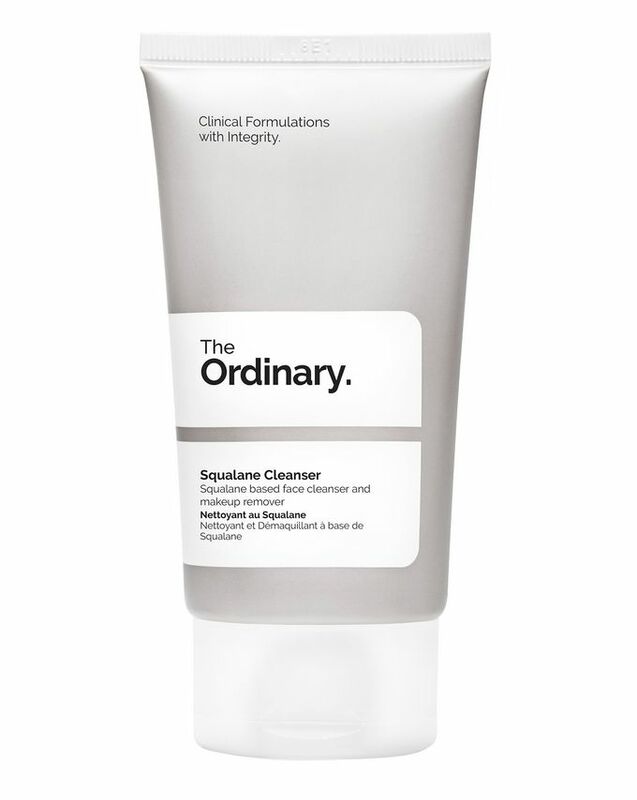 Stripping back unnecessary packaging and misleading ingredients, The Ordinary offers an abundance of brilliant, high-performance products at eye-wideningly reasonable prices – and their Squalane Cleanser is no exception! Carefully formulated for all skin types, this clever potion dissolves make up and the day’s dirt while simultaneously moisturising with a combination of squalane and other lipophilic esters. This gentle cleanser is anything but ordinary, removing make up and impurities as it retains your skin’s moisture – unlike some harsher cleansers, there’s no need to worry about tightness after using this. 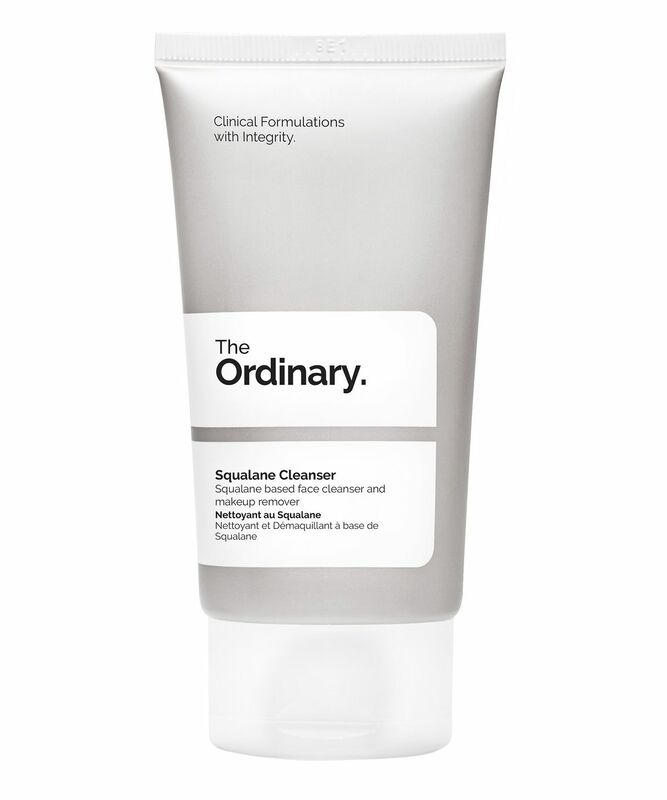 Star of the show is squalane, a first-class hydrator that’s found naturally in the skin, helping to prevent loss of moisture and boost suppleness. This combines with other lipophilic esters to dissolve make up and unwanted grime for clean and clog-free pores. The hard-working formula feels balm-like when first applied, changing to a clear oil-like texture when warmed into your skin – an important feat that allows emulsifying sucrose esters to capture the dissolved make up and dirt and rinse them away. Free from soap, which can cause irritation or ‘strip’ the skin, this crowd-pleasing cleanser respects your complexion’s natural epidermal lipids, making it suitable for all skin types – even sensitive ones. Rub the cleanser in your palms to warm it until it melts into an oil. Massage into dry skin, then rinse with warm water. Just try it! Absolutely gorgeous! Fab cleanser, no scent, gentle but effective. I will repurchase again and again. If you have dryish skin and stubborn make up this is for you! I am amazed at how easily my Japanese waterproof solid mascara comes off. Only downside is the bottles a little small! My 13 yo daughter and I both LOVE this cleanser and just made 2nd purchase. I am picky with my cleansers preferring an oil like Bare Minerals or Shu Uemura (if feeling rich), but this is fantastic. Removes every trace of mascara, doesn’t sting our eyes (we’re both sensitive) and leaves skin feeling soft and moisturised. 50ml is great for traveling, but please The Ordinary do offer a bigger one soon! I love it!! !I remove my make up with mi-cellar water and then I use this for cleansing, because I like to double cleanse. It's really good as a cleanser, I bought 2 directly 2 and I am so glad I did. I will repurchase!